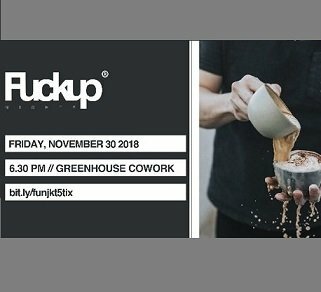 FuckUp Nights is a global movement active in 86+ countries and 300+ cities to share publicly business failure stories. You will hear three to four people share their failures in 7 minutes and 10 images. After each speaker, there’s a question/answer session, as well as time for networking (beers).